There are three types of files you should be able to view to fully participate in our courses. Please check your computer system to see if it passes all three tests below. Physics Prep, LLC is not responsible for the inability of your computer to access and view the multimedia resources found in our courses. 1. Video files such as the one shown here: This type of video presentation is the heart of our website. If you cannot view this video you should not sign up for our courses. 2. Computer animations that use Flash: Check the Flash-based "resonance" simulation below to see if your computer already has Flash installed. Close to 100% of internet-enabled computers already do, but in case you need to download Adobe Flash player you can do so for free at adobe.com. Please note that Adobe Flash player is not available for the iPad. You should be able to use the simulation controls to run an experiment once you enable it for this page. You can enable Flash via the browser settings. For example, if you are using Chrome, simply click the site information icon next to the URL address and choose to allow Flash to run on this page. If this simulation will not run on your computer, you will not be able to perform some of the virtual lab activities found in our courses. While accessing and running these simulations is important, you can still do well in the course without viewing them. 3. Simulations that require your browser to be Java-enabled: There will also be some applications that you will be directed to during the lessons that requires a 32-bit Java-enabled browser. You can usually enable Java in the controls of your browser. Since each browser (Microsoft Internet Explorer, Mozilla Firefox, Apple Safari, etc.) is unique, please refer to the browser's "help" tab to determine how this is done. Google Chrome will not allow these simulations to run. If Java is not installed on your computer you can download the latest version here. Try the Java simulation below to see if your computer will run the activity. 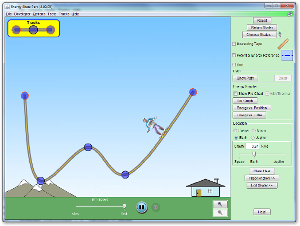 While accessing and running these simulations is important, you can still do well in the course without viewing them. When you are ready please click the link below to open the Java-based simulation. If the file doesn't open with a single click, try "control-click" or "right-click". It may open into a new window or it may download into a folder (on an Apple computer this would be the download folder by default and you may need to use "control-click" to open the file) after which you will need to double click the file to allow it to run. If all else fails you can click on the text-based link below to get to the simulation website and run the application from there. Finally, if you are using Safari as your browser you may see a warning that indicates that the application is from an unknown developer. Simply use "control-click" to open the file in the download folder. This entire process should take no more than a few seconds to complete. When you are finished using the simulation, return to this page.